You are here: Home / Alternative Finance / What is Peer to Peer Lending? Peer to Peer Lending is one of the fastest growing segments of the Fintech sector. However, its surprising to see that there is a huge segment of teh population that still doesn’t have a firm grasp on what Peer to Peer lending actually is? 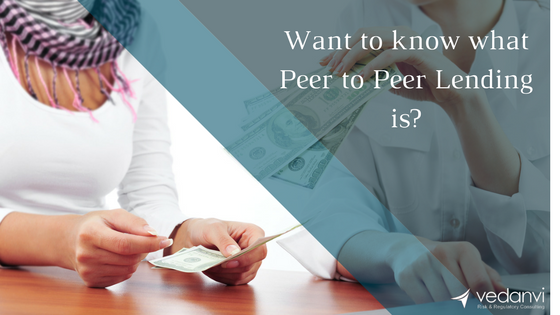 This article hopefully answers your questions or helps to educate you on the Peer to Peer lending sector. Peer to Peer lending (also known as P2P lending or marketplace lending) helps private individuals, corporates and non bank financial institutions to provide secured or unsecured loans to individual or corporate borrowers via some form of an electronic platform. Its really just a marketplace set up to introduce borrowers to lenders, just like a dating website, but obviously with very different intentions on the part of each party on the platform. Traditionally, it was only banks that lent money. Money that they received from you as their depositor. You had no way of knowing to whom your money was being lent or the interest rates that they would be charging. Banks pay depositors a small interest rate, while charging borrowers a significantly larger interest rate, thus making a hefty margin that they get to keep. As a borrower, you were traditionally at the mercy of a bank when requesting a loan. After the financial crisis, banks tightened up on granting credit, and many small and medium sized businesses were left out in the cold with very little or no access to finance. Individuals with a seemingly bad credit record (in the eyes of a bank) were forced to turn to payday lenders and loan sharks. Enter Peer to Peer lending that revolutionised the lending industry. Apart from how money is moved from the lender to the borrower, there is no need for a bank to get involved in the transaction. Borrowers come to the platform to showcase their loan request. These loans have to meet the criteria set by the platform before they are accepted. The platform will require comprehensive public disclosure, and will also do their own due diligence. Investors will review loan requests and decide to invest if the believe the return to risk ratio is right. Often platform will run an auction process to set the loan interest rate, asking lenders to bid their desired interest rate in order to secure the lending deal. The lowest interest rate offered will win the loan. Its now no longer up to the banks to decide whether they wish to lend, as many investors will individually make this decision. Borrowers have much more choice of who they raise loans from, while lenders will often make higher returns, because they get the full interest payment from the borrower (less any platform fees). Online peer to peer lenders are able to keep operating costs down, and hence are able to charge a smaller fee to their clients for investing and raising funds using their platform. Lenders usually invest small portions of their investments across many different loans, thus diversifying their portfolio to better manage risk. But what if the loan goes bad? Peer to Peer Lenders will manage the loan and bad debts for their fee. They ensure borrower repayments are collected every month and distributed to the lenders proportionally. In the case of default, the platform will do whatever they can to collect the loan. Most peer to peer lenders will insist on some form of security (such as a charge on a property or a parental guarantee), which they will liquidate to mitigate losses arising from bad debts. Thought to have been pioneered by Zopa in the UK, this market has experienced staggering growth – beyond most people’s expectation. Research estimate that in 2015, this market, globally, was worth US$ 26.16 billion. Predictions are that market valuation will reach a staggering US$ 897.85 billion by 2024, expanding at an estimated CAGR of 48.2% from 2016 to 2024. Shouldn’t you be part of this success story? Businesses are often borrowing funds for working capital or to purchase an asset. The funds are used to strengthen the business, and taking collateral into account, investors are more likely to get at least a portion of their loans repaid. Of course, this is not always the case, however, compared against uncollateralised consumer loans, business loans may be slightly safer alternative. Such platforms lend to consumers and businesses and Lending Club in the US is a classic example. As platforms aim to scale, I believe that many will be forced to adopt a hybrid approach, bringing consumer, business and real estate borrowers. Such platforms have grown rapidly, because the deal sizes are much larger, given the higher funding needs for real estate financing. In the United Kingdom, peer to peer lending enjoy a newly created regulatory framework to accommodate these innovators. All of the above types of platforms, excluding invoice financing, are regulated in this market. The reason for invoice financing to fall outside the regulatory net, is because asset financing is currently not regulated in this market. The industry is however crying out for regulation. The regulatory framework for peer to peer lending is really diverse across the world. Some countries, for example in Europe, will require such lenders to have some form of a banking license or require platforms to tie up with a bank, to carry out lending activities. I hope this article helps you better understand Peer to Peer lending, whether you are a potential investor, or someone looking to start such a business. If for whatever reason, we haven’t answered your question, then please contact us.